Looks pretty, doesn’t it? The new look, the move and the shop set-up all came together rather quickly – almost ‘inspired’, I’d say. It all started when my friend asked if I could whip up a baby quilt for her new baby. Of course I can! Being the generous soul that she is, she wouldn’t accept it for free, but I can’t (and won’t) charge for the quilt either! So, it is ‘butter-trading’ time! 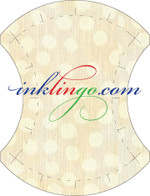 I asked Mama G to help with the blog’s and my Etsy store’s banners design in return for the baby quilt then. She came back with the cutest ideas and there was no turning back. The whole episode turned into a full-blown identity/branding exercise, which took us less than a week to complete: The new domain name, store, avatars, banners, blog page, migration of the blog, etc. This is how far I’ve come since the day of my 1st entry on blogspot.com. And this big move would not have been possible without my tech-guru-hubby and the super-talented Mama G.
Well, some renovation dust still lingers – I’m trying my best to clean up the alignment issues that cropped up during the move. But I’m not going to get caught up with the legacy issues… there’s so much more to do, and to talk about!